Thank you for your interest in the First Nations, Métis and Inuit Education Council. Below you can read the bios and information of all our professionals council members dedicated to the qualitative improvement of First Nations, Métis, and Inuit education in Alberta. ​Natalie Bear is a Nehiyaw Iskwew (Cree woman) from Bigstone Cree Nation in northern Alberta. She began her career teaching at Oski Pasikoniwew Kamik School and is currently employed with STAR Catholic School Division. Natalie is a Phys.Ed/Learning Support teacher at Sacred Heart School in Wetaskiwin. She also works to support First Nations, Metis and Inuit learners in her school as well as furthering Indigenous education within her division by working to make connections, build relationships and provide support for teachers. She graduated from the University of Alberta in 2004 and is currently working toward her M.Ed. in Indigenous Education with the University of Calgary. She looks forward to being a member of the council as President Elect and hopes to be able to support educators and build capacity for First, Nations, Metis and Inuit learners in our province. ​Tansi (Hello) My name is Julie Calliou (Kakinoosit) I am Cree from Sucker Creek First Nation . I have served as the Northern Rep. and I am currently the President of the FNMIEC A.T.A Specialist Council. I currently teach at Mitahtakaw Sipiy School in Driftpile AB and have been teaching elementary for the past 10 years. I have also been a substitute teacher for K-12 in several surrounding schools and communities that are a part of Northland, High Prairie and Holy family School Divisions. Most of my teaching career has taken place within First Nation and Metis communities. My teaching Career started at Mother Earth Children Indigenous Charter School. I enjoy teaching in First Nation and Metis Communities and strive to become a better educator and I also strive to be an advocate for FNMI students and educators. Thanks. Tasha TamsBadio is a University of Lethbridge alumnus, as of 2014. Currently, she is a Literacy Coordinator with Tsuut’ina Board of Education, and is serving as the Communications Director for the FNMIEC. She is intent on working hard to increase the online presence and website of the FNMIEC, and on getting students and teachers ignited about Aboriginal Education. She is passionate about fully loaded hot dogs, cycling, and Volkswagen camper buses in her other life. Hayley Christen is a Coordinator for First Nation, Métis and Inuit Learning Services with Red Deer Public School District. She has a M.Ed. in Educational Leadership and Counselling. Her current passion is in the area of Instructional Leadership and supporting learning of First Nation, Métis and Inuit students in Alberta. She is excited to be planning and working on the Soaring with Knowledge conference to make it a fantastic and engaging professional learning opportunity for all educators! Originally from Paddle Prairie Metis Settlement, Laura now resides in Grande Prairie, AB. She is the Supervisor of Religious Education and First Nation, Metis, and Inuit Education for the Grande Prairie Public School Division. Shannon was born and raised in Fort McMurray, AB and has been teaching for twelve years. She is also actively involved in the Local ATA and has served five years on Local executive. She is very excited to now be a part of the First Nations, Metis, Inuit Specialist council as Northern rep.
​as many people as possible. Melissa Purcell is Dene from Smith's Landing First Nation. 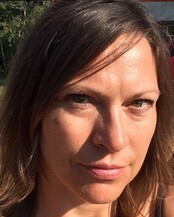 She is an Executive Staff Officer, Professional Development, Indigenous Education with the Alberta Teachers’ Association and is the team lead for the Walking Together: Education for Reconciliation project. She is passionate and committed to building capacity in Indigenous education, culture and language and is always excited to share her learnings with others. Patrick Loyer is an Aboriginal educator of Cree descent and has been involved in education for his entire professional career. He began his career with Calgary Catholic School District where he held various teaching positions before becoming the Consultant, Aboriginal Education. He also taught English for one year in Japan. Currently, he is an Executive Staff Officer with the Alberta Teachers’ Association (ATA) in the Member Services (MS) program area. He joined the ATA in February 2009 in the Professional Development (PD) program area and was there for five years before moving into Member Services. Patrick holds a Masters of Arts in Curriculum and Administration from Gonzaga University in Spokane, Washington and a Bachelor of Education from the University of Lethbridge. He currently resides in Airdrie with his wife where they can share in one of the joys of their lives, their four grandchildren.